Things have been hectic lately so I haven’t been able to update my blog as much as I wanted to – sorry! 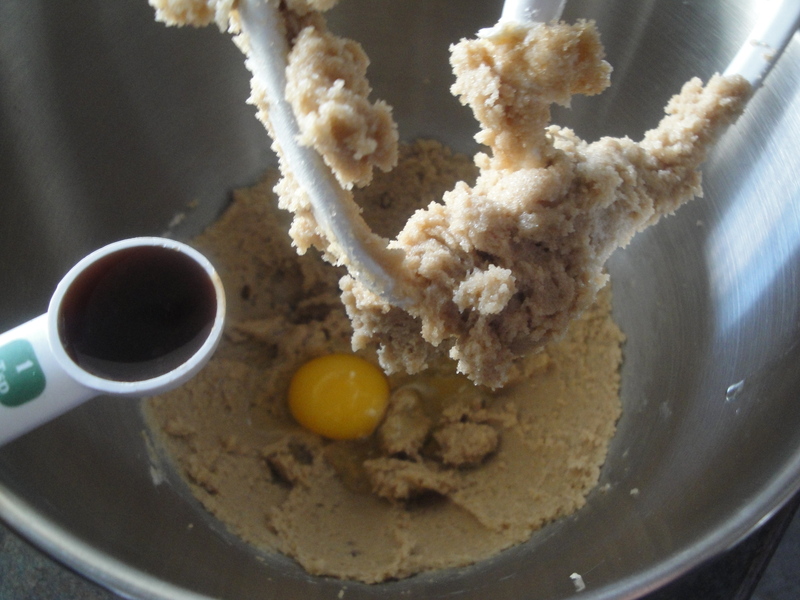 But, I hope to make it up to you this week with days and days of cookies! 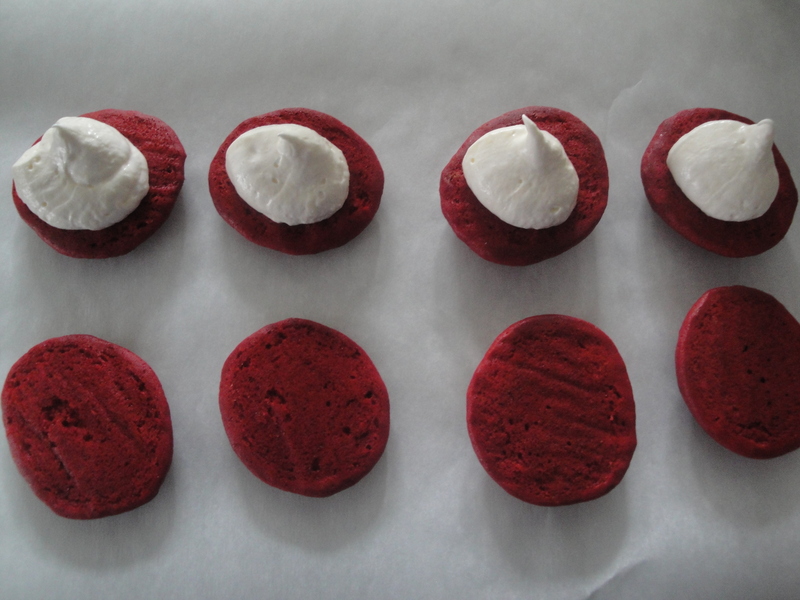 The first cookie I’m spotlighting this week is the cute, melt-in-your-mouth treats, Red Velvet Whoopie Pies. 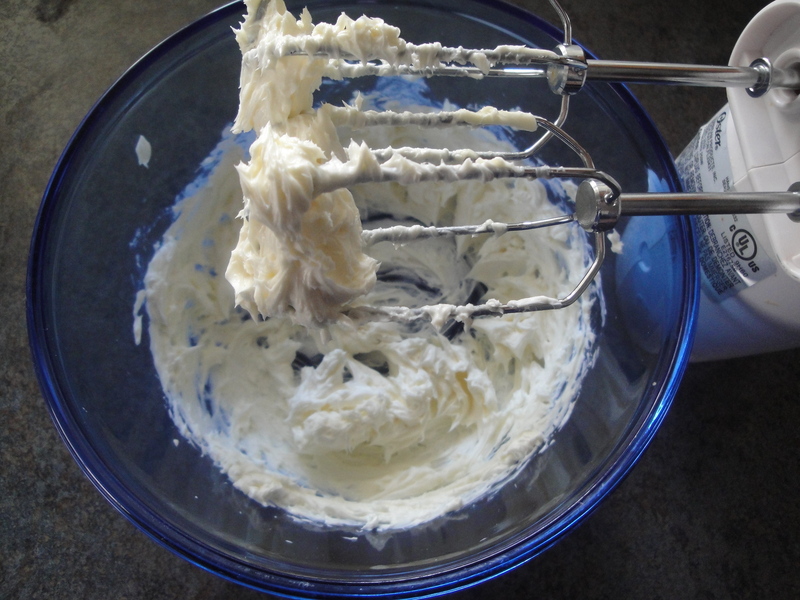 Whoopie pies used to be something that people bought more often than made themselves but now they are becoming slightly trendy and there are even whoopie pie pans on store shelves. 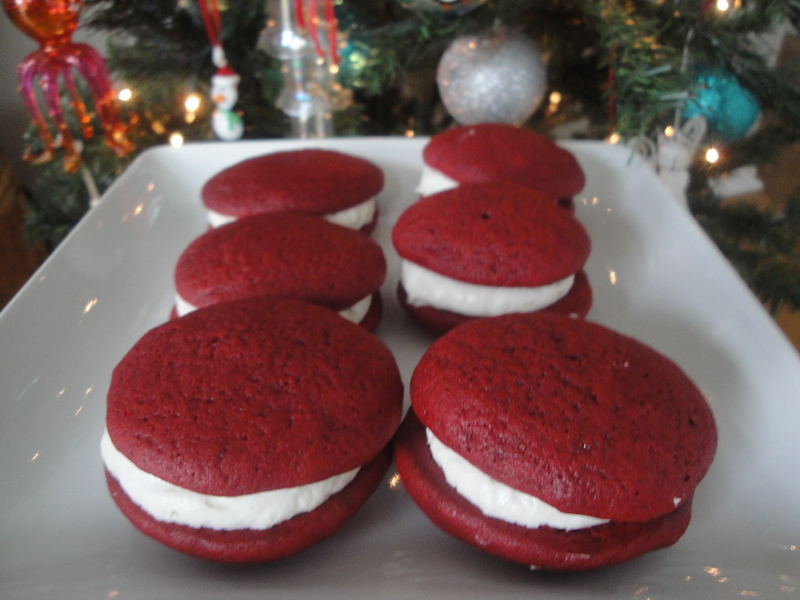 I made these red velvet cuties last year at Christmas and used a whoopie pie pan. I hated the way they looked. That pan is now in the bottom of a drawer and is doubtful to see the light of day again. 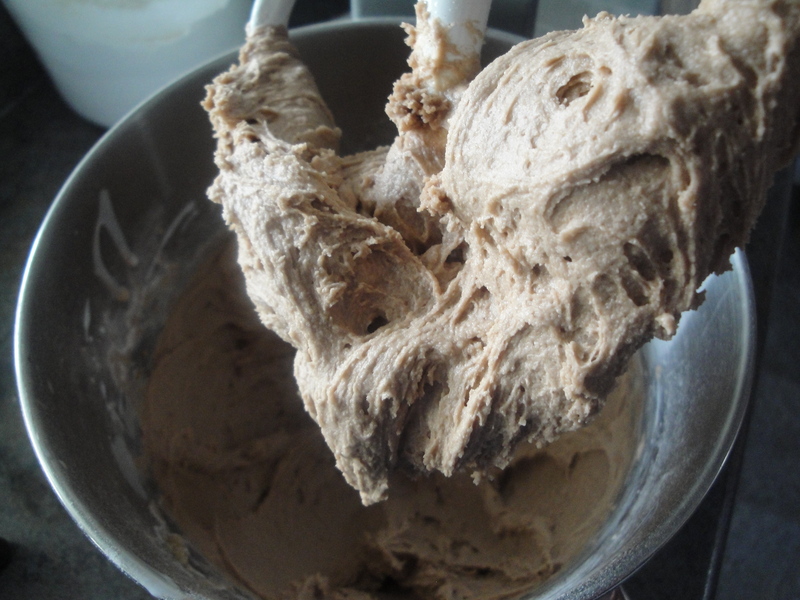 Maybe I just didn’t do it right but they turned out like flat little cupcakes with a mushroom top – not at all what you want a whoopie pie to look like. 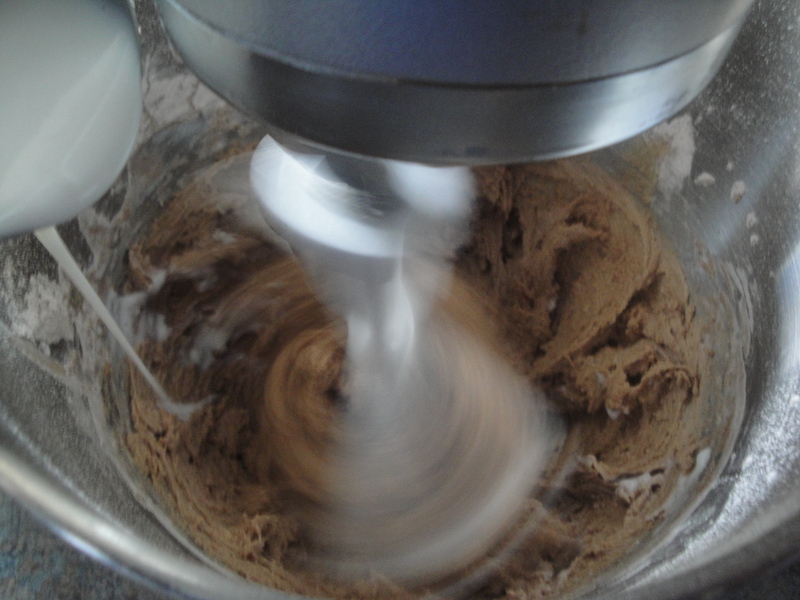 This time, I used a small cookie dough scoop and a regular baking sheet and they turned out perfect. 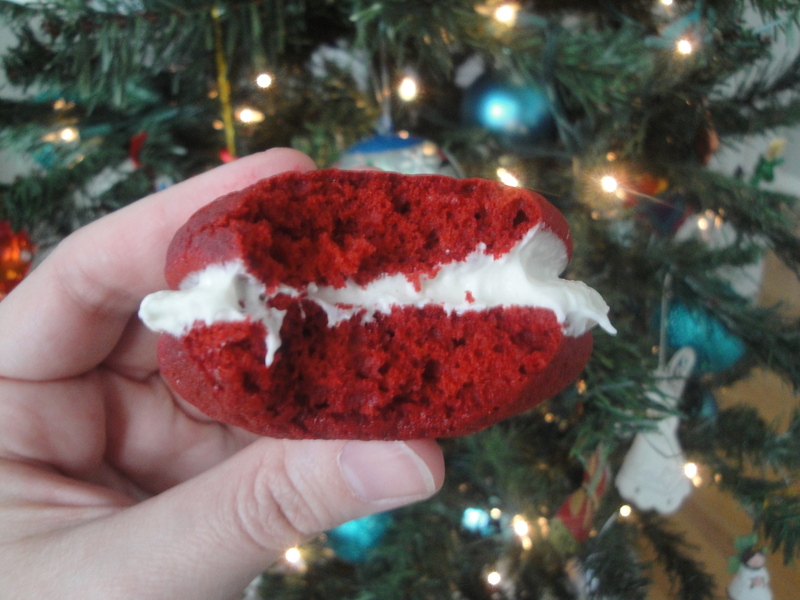 These are like pillows of red velvet cake and festive for the holidays! 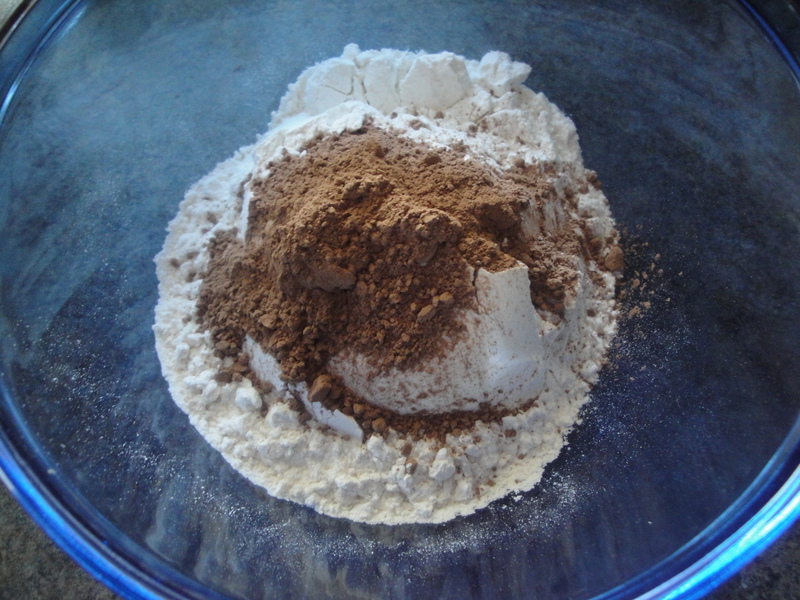 Mix together flour, cocoa powder, baking soda, and salt in a bowl and set aside. 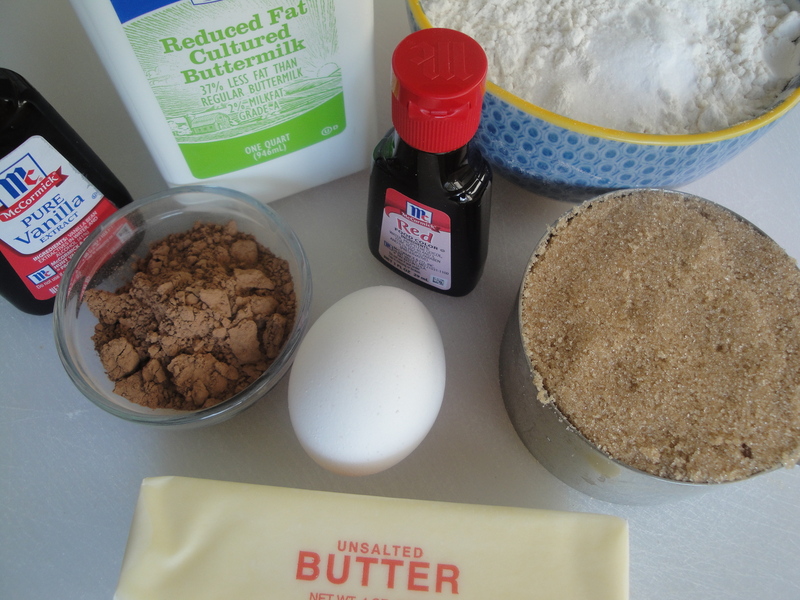 Meanwhile, beat together butter and brown sugar. 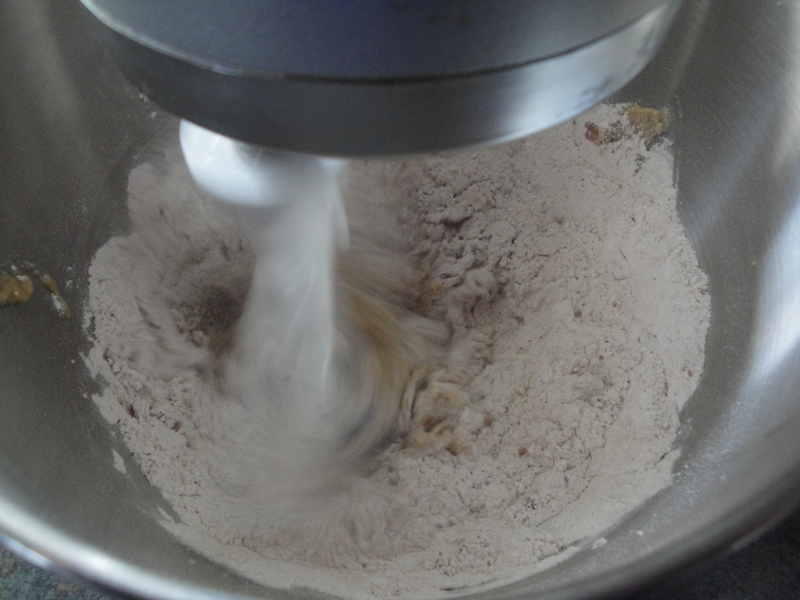 Add flour mixture and buttermilk alternately until thoroughly combined. 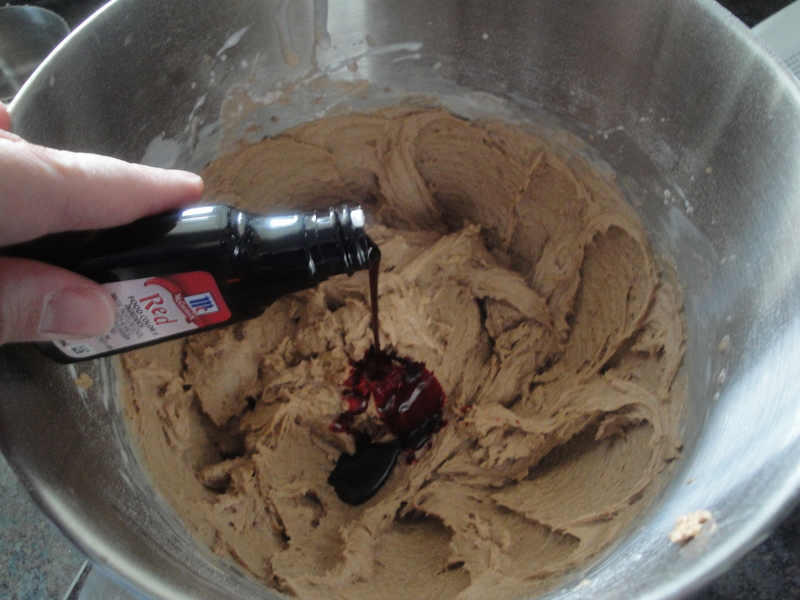 Here’s the good part – pour in an entire bottle of red food coloring and mix…carefully! 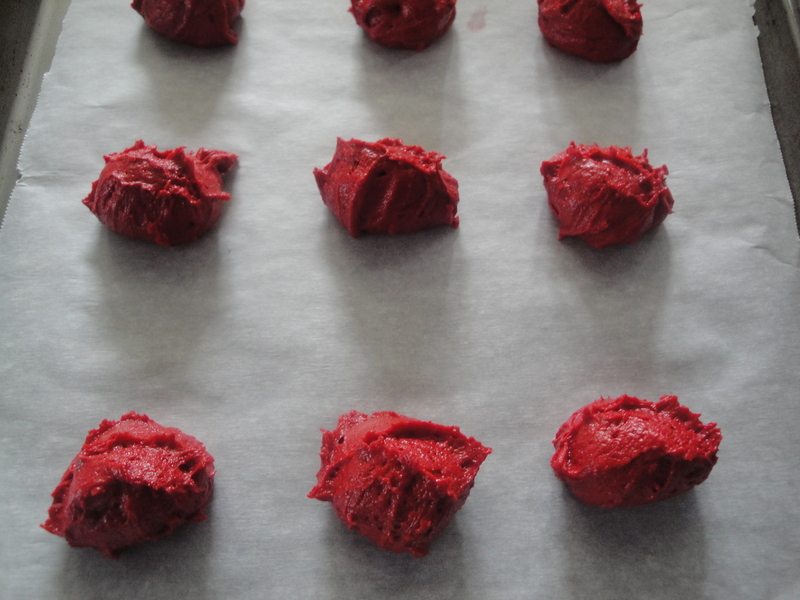 Drop dough by spoonfuls onto a baking sheet and bake for 7-9 minutes in a 375ºF oven. 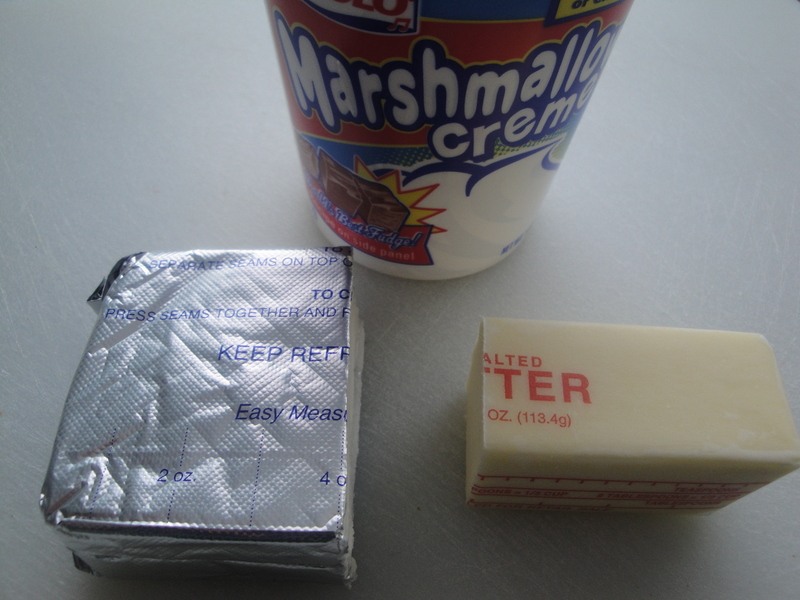 Better together softenend butter and cream cheese until smooth. 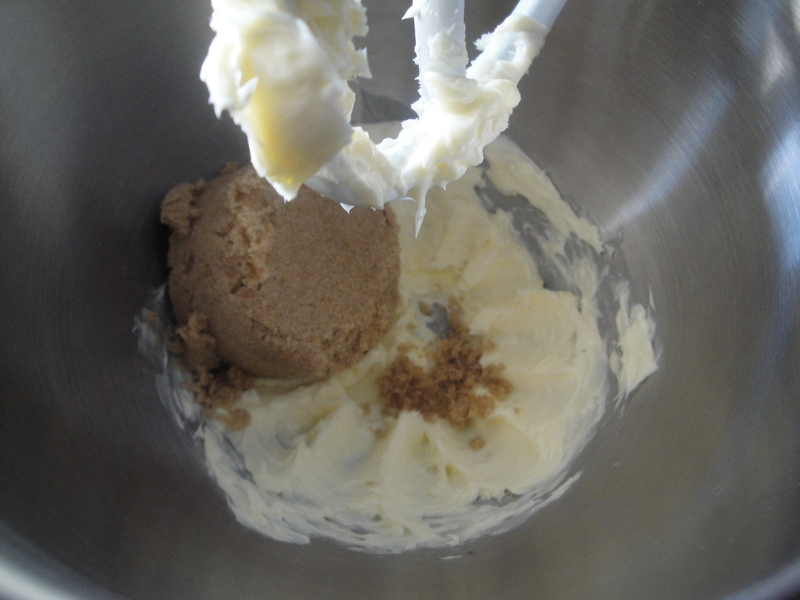 I used a storage bag with a corner snipped off to easily and cleanly top one side of the whoopie pies with the filling. 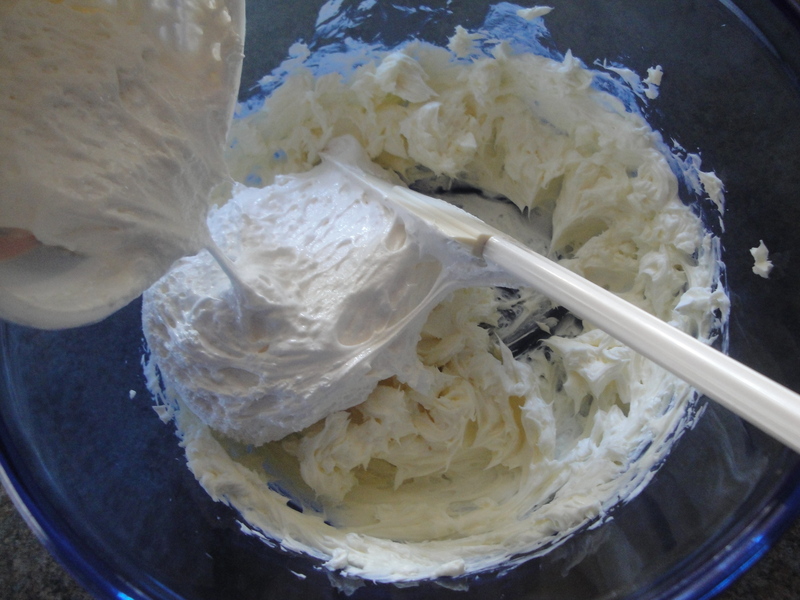 Keep this in the refrigerator until ready to serve for up to four days. Did you save me any? These looks so delicious. 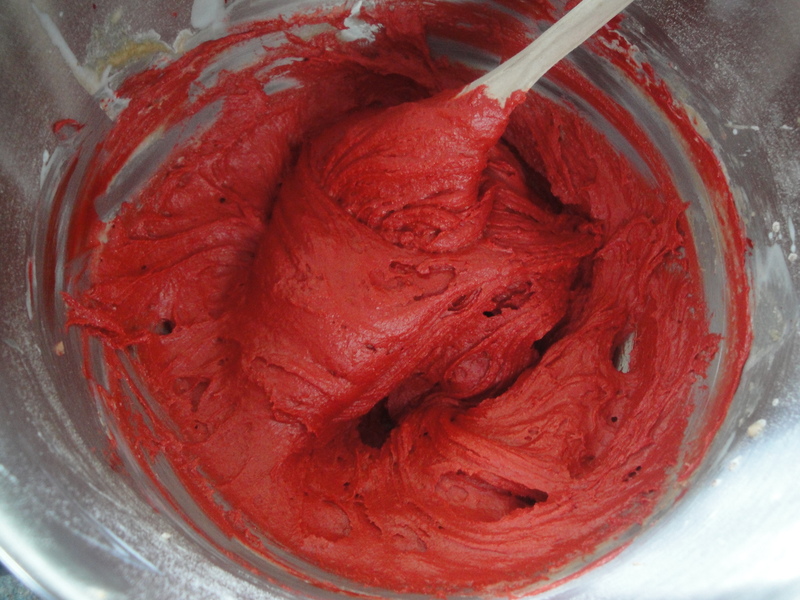 i have never seen red velvet whoopie pies before.